Looking to expand? Consider these savvy strategies from Eos. Eos Products, the company best known for its spherical containers of lip balm, has taken what its founders call a “measured” approach to growth over the past decade. That’s an ambitious goal for any startup. But by drawing upon their combined industry experience, which taught them preparedness and patience, Teller and co-founder Sanjiv Mehra quietly built a global brand. 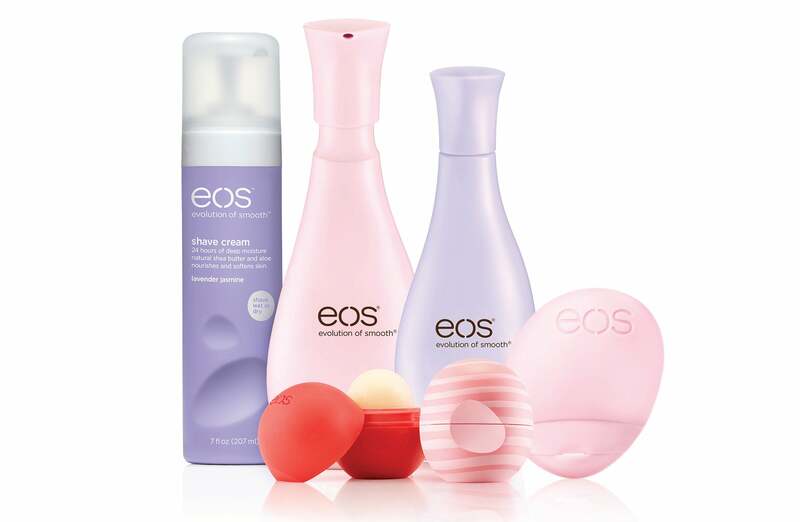 They founded Eos, which stands for Evolution of Smooth, in 2007 and launched their lip balm in the U.S. in 2009. Today, they sell nearly 2 million units per week across the globe and have since expanded to shaving cream and hand and body lotions. In early 2015, Eos was the second-highest seller of lip balm in the U.S, according to Kline Research. Across brands, U.S. lip balm sales increased 55 percent from 2010 to 2014, according to market research firm Mintel. Despite a 3 percent decline from 2014 to 2015, Mintel projects that the segment will recover and grow, albeit more slowly, through 2020. Teller and Mehra both had a background in consumer packaged goods before launching Eos. After years in banking and asset management, Teller consulted for brands such as Target and Boots, and he launched a consumer products incubator, The Kind Group, which is where Eos got its start. Mehra started out as a management consultant and assisted the Indian government with economic reforms. He started HP’s India business, then helped to expand Pepsi into India and other international markets and later worked for Unilever’s North American Home and Personal Care Division. 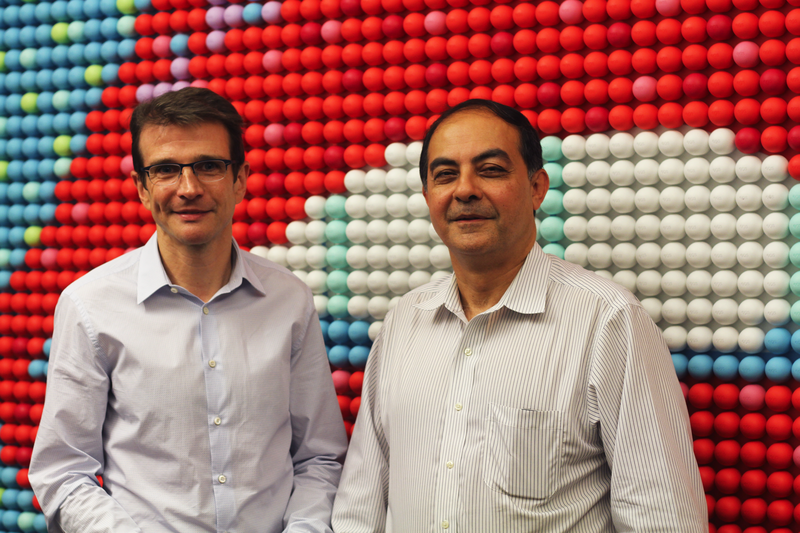 Eos co-founders Jonathan Teller and Sanjiv Mehra. The co-founders have grown Eos without outside investment. But they faced their share of setbacks and surprises, including copycats and a class-action lawsuit by consumers who reported they developed rashes, blisters or cracked lips upon using the lip balm (it was settled out of court). And while they haven’t predicted every opportunity that’s come their way, as Eos has rolled out its products in 18 countries, the company has operated in a deliberate manner to maintain sustainable growth. Here are four strategies Eos has used that growth-seeking companies can learn from. Eos’s global success largely stems from its “universal appeal” -- a quality that the co-founders work to cultivate and maintain. Before the product’s U.S. launch, they spoke with women and learned that many were frustrated with an inability to quickly identify lip balm containers by reaching into their purses amid lipsticks and pens. They then had a sculptor come into their office with some clay, which led to the creation of the shape that ultimately became Eos's iconic sphere. The containers are also designed to satisfy human senses: The material is soft to the touch, and the spheres make a faint clicking sound when opening and closing. They conceived of unique flavors such as “honeysuckle honeydew” that would pique curiosity but smell and taste familiar. 2. Don’t be afraid to turn down opportunities. Within 18 months of the company’s launch, Eos received requests to sell its lip balm in more than 100 countries. The co-founders knew they they would need to hire employees who would be knowledgeable about doing business in each new country. They’d have to adapt their marketing for each local market, be selective about which retailers they would partner with, make appropriate hires and generally expand slowly enough to sustain their growth. That said, Eos did expand faster than Teller and Mehra initially anticipated. For example, when Eos moved into Germany, the co-founders say they believed it would take time for their products to gain traction in the European market. Instead, Eos lip balm started flying off German shelves. They had to figure out a game plan for determining which new countries they should go into as well as the process and timeline. “For example, in the U.K.," Teller says, "we delayed our launch for almost a year because we wanted to make sure that we found the right people to come in and help us run the business." 3. Be mindful of local differences. While universality is a crucial element of Eos success, the company also has to evaluate whether its products, marketing and branding will be appropriate for each potential new market. Just as it’s important for companies to exercise caution before expanding into a new country for logistical reasons, they also have to be mindful of cultural differences and make adjustments accordingly. Eos sells different combination packs of its products, markets to and communicates with consumers in different ways and hires brand ambassadors that will appeal to each local market. For example, in 2013, Eos opened an office in Shanghai, and its new hires brought perspective as to what Chinese consumers would respond well to. Two years later, Taylor Swift was Eos’s spokesperson in Asia, and in 2016, the company partnered with Korean pop star Ji Chang-wook, who is popular in China. Regulatory restrictions also influence Eos’s international expansion. Some products containing sunscreen or that offer a shimmery appearance are only available in a certain countries. Additionally, sales approaches vary. For example, ecommerce is huge in China, and Teller says he and Mehra have viewed this as an opportunity. Selling online frees them from having to wait for stores to cycle through shelving displays. 4. Pay attention to what people are already saying about you. Frequent customers of Eos are active on social media, with more than 8.8 million combined likes and followers on its Facebook page and Instagram account. The company has benefitted from word-of-mouth marketing and leveraged social platforms to learn what its fans want. Before Eos launched in China, it got a product placement deal with the TV show Gossip Girl. What the co-founders didn’t expect, they say, was for girls and women in China to see the lip balm on the show and post photos of themselves mimicking use of the product. They say this drove home the fact that Eos had consumers across the globe. Similarly, Eos took off in Mexico before the company made a direct effort there. It had partnered with Walmart, which began selling the product in Mexico. Soon, Eos had 1 million Facebook fans in the country. Teller says it then became clear to him and Mehra that Mexico had a lot of the characteristics that led them to believe further expansion there would be a sensible move. While Eos has an R&D lab, the co-founders say that their findings from research and focus groups merely provide validation, but can be flawed and don’t holistically capture the market. They emphasize that they listen to consumers for discovery purposes. Eos in mid-2016 launched its newest product, a line of Shimmer lip balm, which contains subtle pigmentation and sheen. It had heard from consumers nearly since the lip balm’s launch that they wanted an Eos lip balm with some color. Customers had also posted DIY videos on how to make an Eos color product, in addition to other candid reviews.